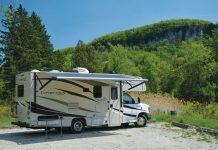 Driving a motorhome or RV in rural communities can often be a challenge for shopping, sightseeing or visiting friends and relatives once you are settled in at a campground. It’s always better (and easier) to leave your RV and simply use a smaller vehicle for those short day trips. 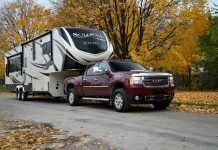 If you don’t already, consider towing a smaller, second vehicle on your next trip – it’s not as hard as you think and you’ll be glad you did when it comes to the freedom and convenience that a second vehicle can provide. 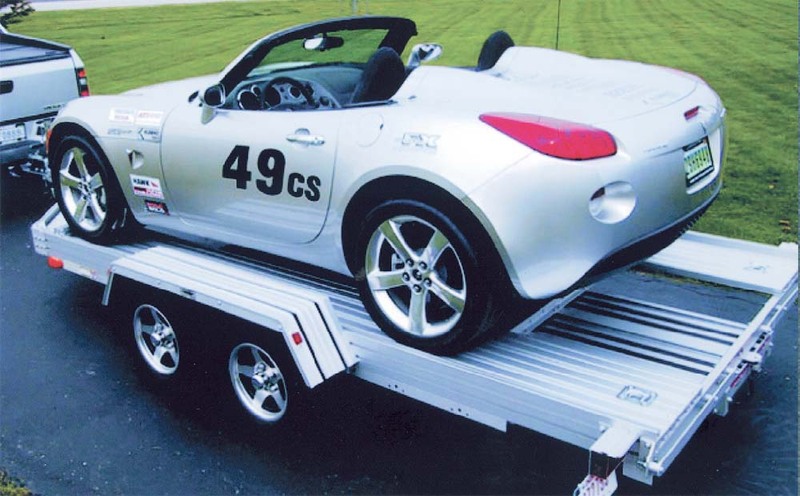 There are many manufacturers offering products on the market to make towing a second vehicle as safe and convenient as possible at reasonable cost. You can tow any car with a manual transmission with four wheels on the ground by simply placing its transmission in neutral. If it’s a fourwheel- drive, you can easily put it in park and its transfer case in neutral. 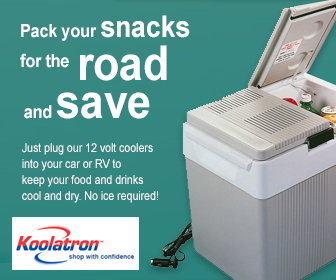 But in any case, there are several ways to take a small car along with you when you drive a motorhome or RV. The most common method of towing a second vehicle is to tow it with four wheels flat on the ground. 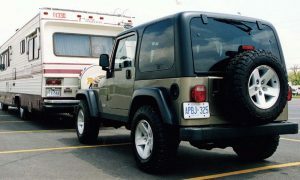 You will need to bolt a special base plate under the front of the car to be able to use one of many types of tow bars. 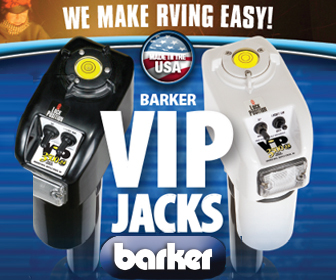 The easiest bar to use is a model that has a triangular-shape design and a balltype coupler for the motorhome. You will need a friend to hold the coupler in the air as you jockey the car carefully to line it up correctly behind the motorhome (the Ambassador model by Blue Ox weighs 24 pounds and can tow a car up to 5,000 pounds). Tow bars are a common system used to tow a car behind an RV. Self-aligning tow bars have adjustable legs that can easily line the car up behind the rear of the motorhome. 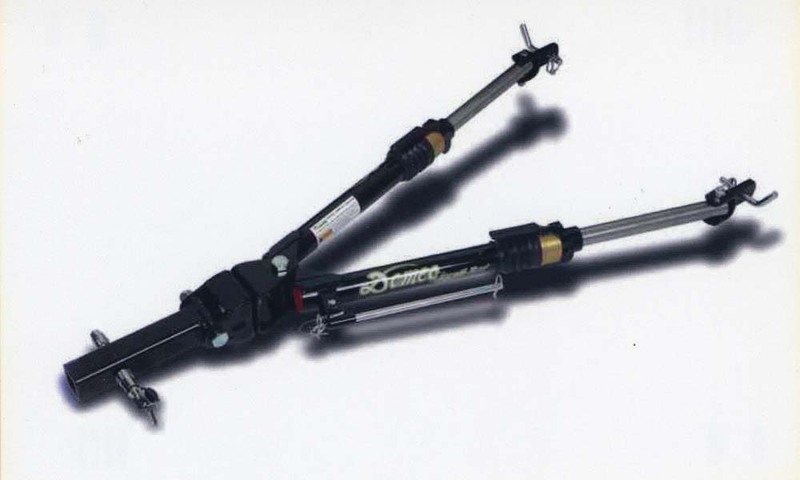 Older-style tow bars have a ball-type coupler and the legs conveniently folded up so that could be easily stored at the front of the car when not in use. When it was time to go shopping or sightseeing with the car, the full weight of the tow bar was carried by the front suspension. If you were not on a trip, the tow bar could be removed completely and stored in your garage until your next trip. Most modern self-aligning tow bars now use a drawbar that slides into a receiver with a 360-degree swivel system to allow the bars move in any direction. The tow bar can mounted on the rear of the motorhome at all times and there are just two pins used to connect the bars to the base plate on the front of your car. A benefit of these modern systems is when you do use the car for day trips there isn’t added weight on the suspension. 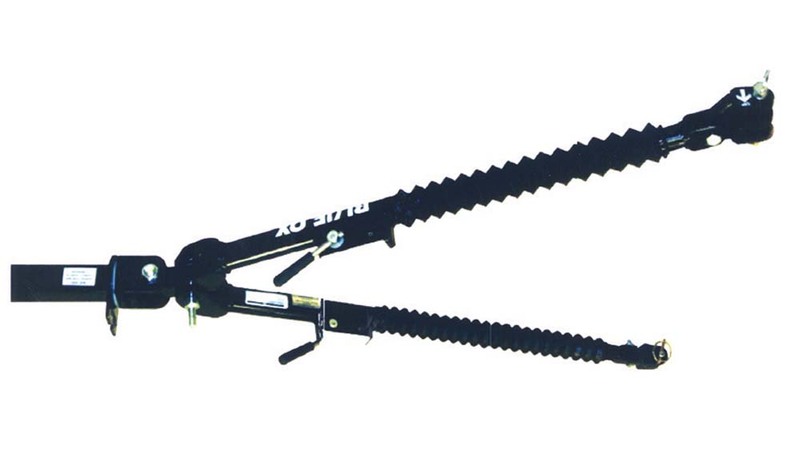 Different models of tow bars are available on today’s market. Most weigh approximately 50 pounds and are capable of towing a car up to 5,000 pounds. A 10,000-pound model is available for owners who have large Motorhomes and want to tow a heavier car. To mount a self-aligning tow bar, drive your car up close to the motorhome and extend each leg of the tow bar and connect them to the base plate with the locking pins. Back the car up slowly until one of the legs locks in place. One leg will now be shorter than the other. Connect the electrical cable between the motorhome and the car so all the turn and brake signals will operate. Then hook up the safety cables. Make sure they are crossed under the hitch and don’t forget to unlock the steering wheel by leaving the ignition key in the accessory position. Turn the steering wheel towards the shorter leg so when you drive the motorhome forward, the shorter leg will now extend until it locks in place. Before you drive off, make sure you have shifted the transmission through all the gears with the car’s engine running. Shift from “drive to neutral” before shutting down (never do it from reverse to neutral). When you arrive at your destination, it’s easier to disconnect the car from the motorhome by stopping with the car in a straight line and on level ground. Then, set the emergency brake before disconnecting to prevent the car from rolling. Some cars with automatic transmissions can be towed without modifications since the lubrication pump is connected to the output shaft of the transmission gears. Since the gears will be rotating in the transmission when you are driving the motorhome down the road at 55 miles per hour, the gears need to be kept cool. Excess heat is the worst thing that can happen in a transmission. To remedy this, a thin film of oil will keep the gears from wearing against each other. When transmissions overheat, the lubricant loses its viscosity and cannot keep the rotating parts apart from each other. As a result, the friction between the parts increase and the parts of the transmission get hotter again. According to General Motors, at 175 degrees, a transmission has a life of 100,000 miles. At 415 degrees, the transmission has a life of less than 30 minutes. GM suggests a transmission should never be operated above 285 degrees, except for very short periods of time. Unfortunately, transmission temperatures can often exceed 300 degrees even when the engine is operating normally. 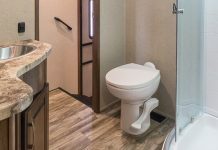 Some RVers who trade their cars in often do not want to go to the expense of removing the base plate from their trade-in and installing a new base plate designed for their new model. 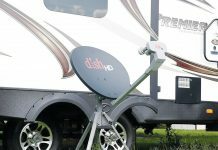 In this case, they tow can tow their car on a dolly – a small, two-wheel trailer with electric brakes that can be towed by a motorhome with a ball type coupler. To use, drive the front wheels up the small ramp of the dolly until they can be locked down with heavy canvas straps. Dollies – small, two-wheel trailers with electric brakes that can be towed by a motorhome – are also commonly used. Premium dollies have steerable wheels and axles as well as ramps that can be adjusted to match the width of different cars. On steerable dollies, the car’s steering wheel must be locked to prevent the car from turning. Dollies often weigh approximately 1,500 pounds and can carry cars or trucks that weigh up to almost 5,000 pounds. If you want to tow with a dolly, simply push the dolly under the back of the motorhome when in the campground so that you have enough room to park your car. Some cars like the Chevrolet Cruse that were originally recommended for flat towing developed transmission problems, so General Motors now recommends towing them on a dolly. 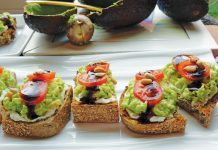 Having your car on an RV trip offers more convenience for various day trips. Many race car drivers, as well as RVers, who own classic or more exotic cars, prefer to use a tandem axle flatbed trailer (so the entire vehicle is off the ground). Open or enclosed trailers and various models are available. 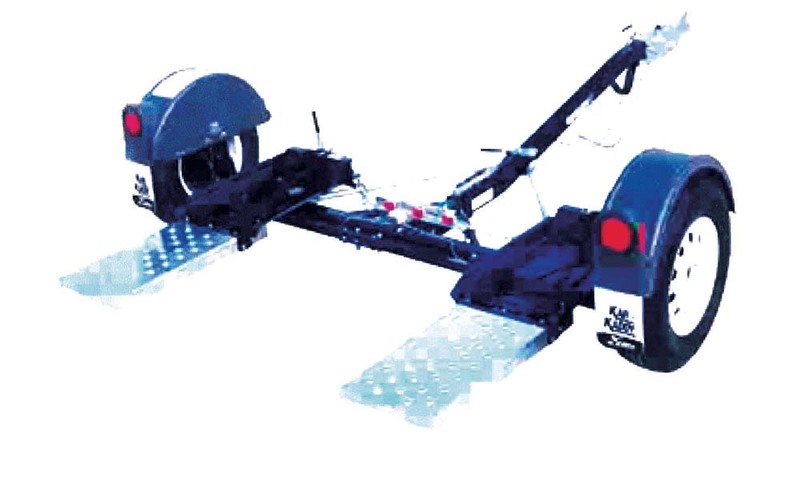 Lighter trailers are constructed of aluminum and weigh anywhere from 900 to 1,100 pounds (empty). Some models can accommodate cars up to about 6,000 pounds. RVers who own classic or more exotic cars prefer to use tandem axle flatbed trailers (so the entire vehicle is off the ground). 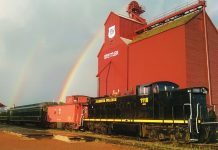 Some smaller trailers use ramps to load the car while others tilt for ease of loading and unloading. In Canada, it’s required to have electric brakes on each wheel. 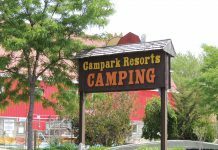 RVers who use flatbed trailers need to unload their car from the trailer at a location where the trailer can be stored, since campground sites are not large enough to accommodate both the trailer and a motorhome. Also keep in mind, there are some cars with automatic transmissions that cannot be towed with four wheels on the ground. However, many cars can be modified with a transmission lubrication kit from Remco to make them capable of being towed safely. The lube pump fools the transmission into thinking that the engine is running and keeps it properly lubricated. To find out if your car can be modified with a lube kit, visit Remco at www.remcotowing.com. 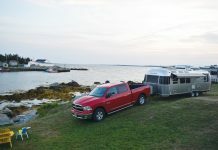 To make you car legal when towing, you must connect the clearance lights, turn signals, and brake lights from the motorhome. Years ago, you had to install three diodes on each side of the car at the tail lights to isolate the motorhome wiring from the car’s computer. Nowadays, there are several manufactures who have designed wiring kits that are simple to install. Just run the wires from the new harness from side to side through the access holes in the car’s chassis. Remove the OEM connector from the back of the tail-light and plug it into the new wiring harness. Now, plug the remaining connector on to the tail-light, then run the four flat wires to the front of the car to a connector that matches the one on the back of your motorhome. The brakes on your motorhome are designed to stop your motorhome – not the extra load of a trailer or car. 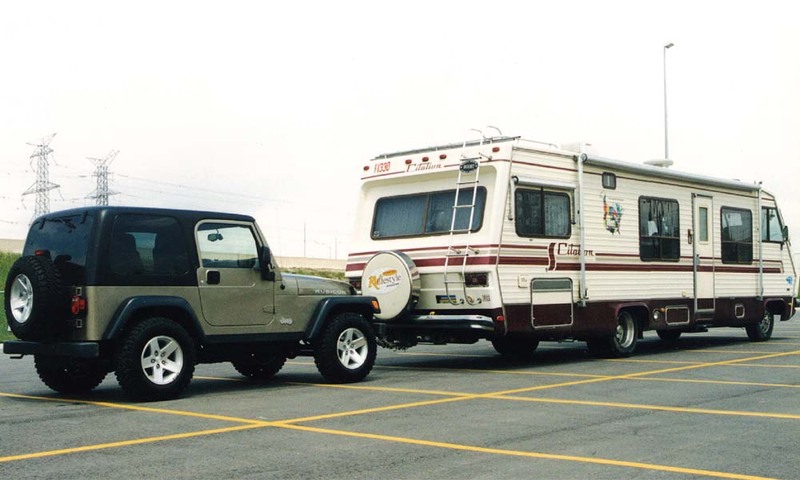 Towing a car behind your motorhome is in the same class as towing a trailer. If you tow a trailer that weighs more than 2,860 pounds, you are required to have brakes on the trailer. If you are towing a car and cannot stop in 40 feet when it is travelling at 20 mph, you need an auxiliary brake system in the car. An auxiliary brake system can reduce stopping distances by up to 50 per cent. 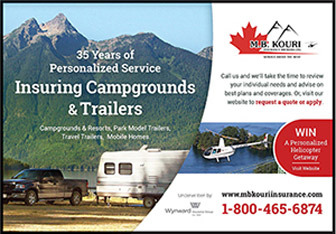 In Canada, auxiliary braking systems need to have a break-away system that brings the car to a complete stop if it accidentally breaks loose from the motorhome. Towed braking systems can be operated by air, electric motors, or hydraulics. Many towed braking systems are permanently installed while others can be removed when the car is not being towed. Full braking removes the entire weight of the towed car from the motorhome during braking. 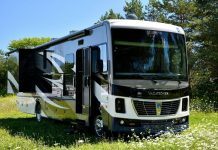 But with proportional braking, the harder you brake the motorhome, the harder the braking system pushes on the brake pedal of your towed vehicle. Full-Time Electric Brakes are a new braking system found on a small but a growing number of towed vehicles. Full-time electric brakes do not use vacuum but electricity to power the brakes. They remain fully charged whether the vehicle is running or not. Traditional vacuum brakes use a vacuum pump to maintain braking power while the vehicle is running. When the engine is turned off, the vacuum can be bled from the system. Before you set off on your trip, most cars require that you turn off the radio and other systems such as the air conditioner. But you can simply remove the fuse that controls the dash and computer so your battery doesn’t run down while you are towing. There are several kits available to automatically do this and charge the battery so that you do not have to remove and later re-insert this fuse. 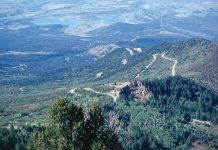 Having your car with you on an RV trip can be very convenient for any number of reasons. 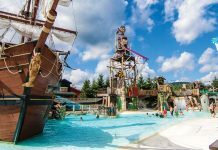 Plus, when you are heading out for a shopping trip or a meal at a good restaurant, you do not need the stress of looking for a parking place nor do you have to pack up or reorganize your campsite with every outing. Some of the cars approved for towing four-wheels down include the Buick Enclave (both FWD/AWD), Cadillac SRX, Chevrolet Avalanche, Equinox, and the Sonic. 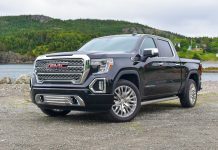 You can also tow a Silverado 1500; 2500; Traverse; most Ford models (from the C-Max to Taurus); the GMC Acadia; Terrain; Sierra; and the Honda CRV and FIT; Jeep Grand Cherokee; Wrangler; Lincoln MKS and MKX; Ram 1500 and 2500; and Suzuki Grand Vitara. Small popular cars that can be towed with a manual transmission include the Dodge Dart, Fiat, Scion, and Smart for Two.